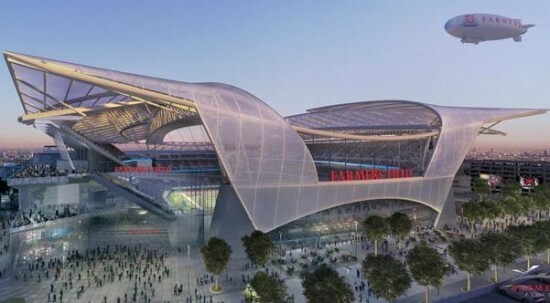 Almost two years after the idea was first floated, AEG and Gensler's 72,000 seat, $1.2 billion stadium proposal was approved by LA City Council on Friday. 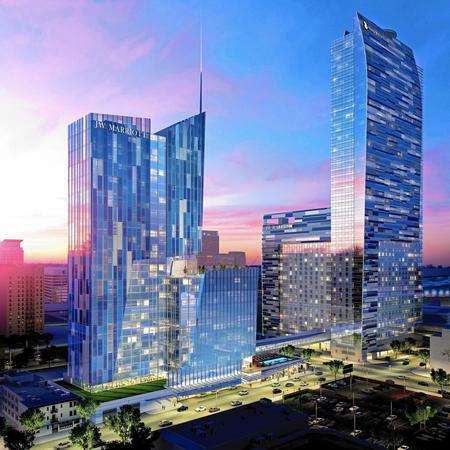 The vote in favor of the project's environmental impact report (EIR) clears the way for the developer to seek an NFL team and for Gensler's steel-winged Farmers Field to move ahead. 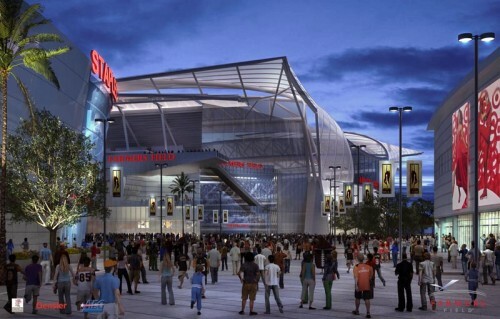 The stadium had experienced some controversy lately as news spread that AEG was putting itself up for sale. But that didn't deter the council, which voted 12-0 to move ahead with the plan. 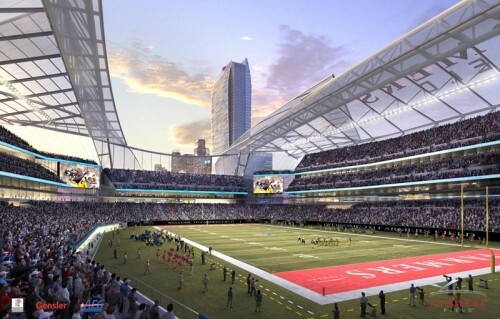 The stadium, and an adjacent convention center that was recently panned by an architectural commission, is being paid for privately, although funds are coming from $275 million in tax-exempt bonds. Another proposal by developer Ed Roski and architect Dan Meis, located in the City of Industry, is also trying to lure a team. Let the games begin.